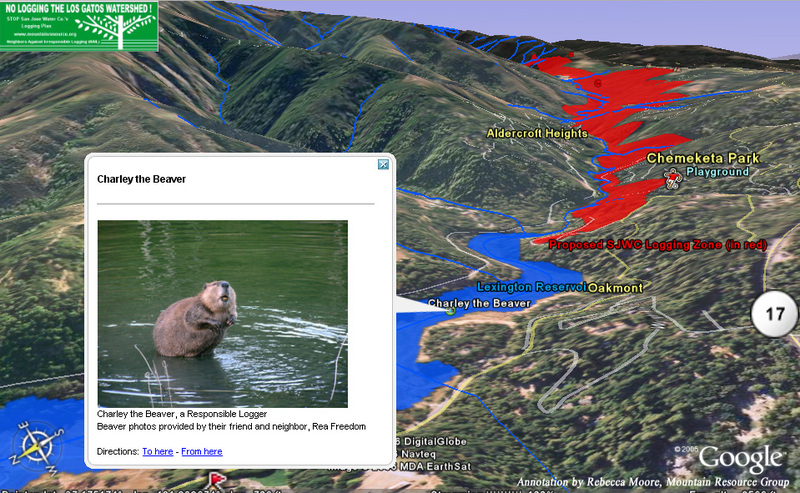 The Mountain Resource Group is a non-profit organization based in the Santa Cruz Mountains of Northern California. Our mission is to support local residents, community groups and emergency responders, in order to promote public safety, environmental awareness, responsible stewardship and informed and fair decision-making about our local resources. As individuals and as a community, we face unique challenges and responsibilities. We also share good fortune in being able to live in such a beautiful place. We'd like to help keep it that way for generations to come. A better common understanding and appreciation of our region, its unique history, scenic beauty and precious natural resources. 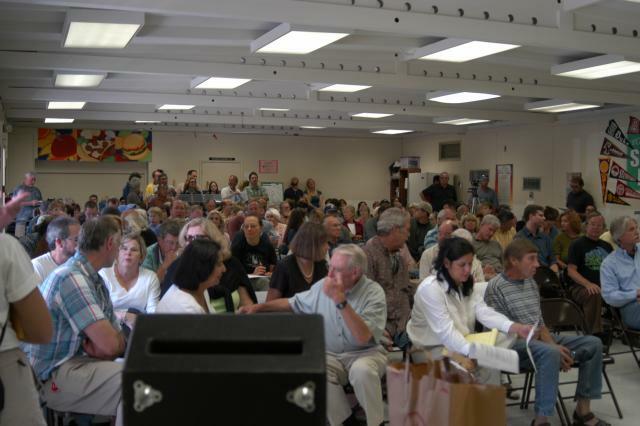 Mountain residents take their seats to meet for the first time on Sept. 11 at Lexington School to share concerns about the proposed plan to log 1000+ acres of San Jose Water Co. watershed land. Close to 200 attendees packed the room and another 100 attendees sat outside listening via speakers set up in the patio area. 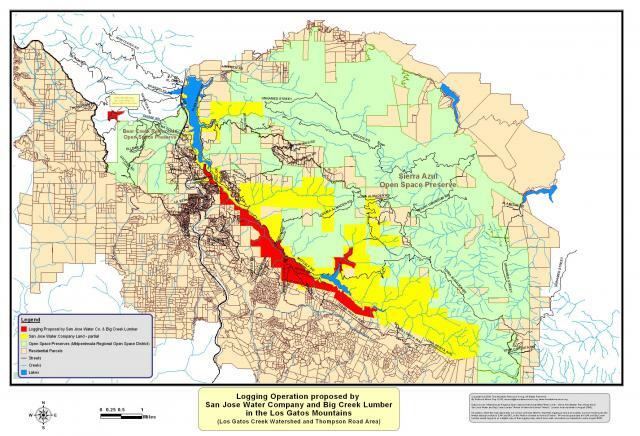 Map of Logging Operation proposed by Big Creek Lumber and San Jose Water Company in the Los Gatos Mountains (Los Gatos Creek Watershed and Thompson Road area). More than 1000 acres of forest, principally coastal redwood forest (sequoia sempervirens), will potentially be logged if their proposal is approved by CDF. 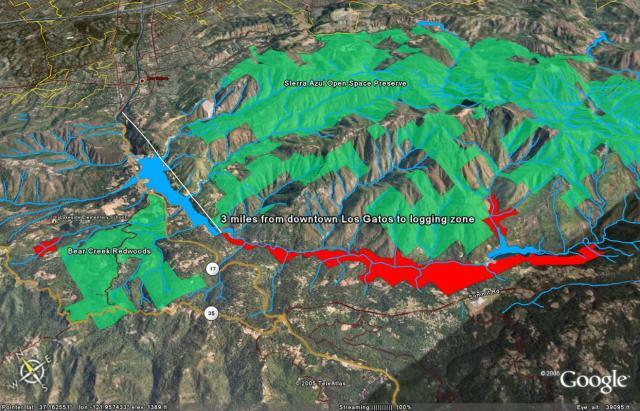 Screen shot showing proximity of downtown Los Gatos to primary logging zone (shown in red) proposed by Big Creek Lumber and San Jose Water Company. More than 1000 acres of forest, principally coastal redwood forest (sequoia sempervirens), would be logged under their proposal.